We know you have questions. Find your answers here. 1. What makes the WindTC different? The WindTC is the only torsional device that allows for a different forward and reverse setting. 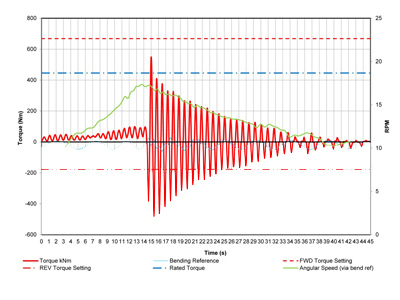 All other torque limiters in wind turbine drivetrains have one setting, usually set at 180-200% of nominal torque. They must be set this high to protect themselves and the drivetrain in a worst case event, such as a crowbar event in the generator. The WindTC brings a new level of dampening to the system by allowing cutting the reversals quickly. 2. 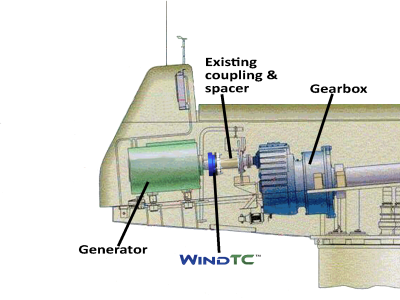 Where is the WindTC unit mounted? The WindTC is designed to be mounted on the Generator shaft, replacing the rigid flange coupling that comes standard from the OEM. This is the best location for the control, allowing for optimization of cost and torque. It could be designed to be located anywhere between the two inertial loads. By locating it on the Generator shaft, it also ensures the caliper brake will engage for safety during an event because it is downstream from the caliper brake and allows for direct application of brake torque. 3. What happens during an event? 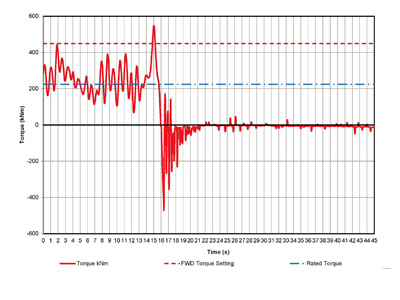 What is a Transient Torque Reversal (TTR)? An event occurs any time the rotor inertia and the generator inertia get out of phase from one another. 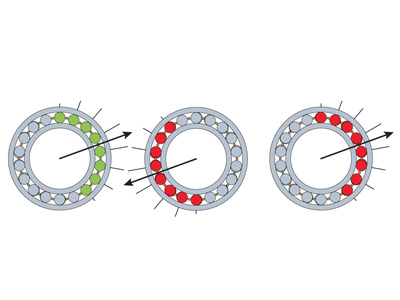 This is called a Transient Torque Reversal (TTR), a sudden, short-term reverse of loading within the drivetrain. This is not a direction of rotation change but a load direction change, most damaging to the bearings and subsequently the gears in the gearbox. These events can be standard stops in older machines or e-stops and other automated stops in modern machines. The system is normally wound up in the forward direction, operating smoothly. If a rotor side event (wind gust or sudden drop off, turbulence, etc.) or a generator side event (curtailment, over-speed fault, vibration fault, etc.) occurs, the turbine drivetrain will rapidly unwind and rewind in the opposite direction. The process repeats until fully dissipated. The WindTC™ dampens these torsional spikes out of the drivetrain, dissipating the energy internally. 4. Won’t that effect the control system? Will it trigger a fault? No, since the allowable slip is a matter of degrees, not rotations, the Control System does not have the resolution to see the event. The event occurs very rapidly, making it difficult for standard systems to measure. 5. Will the WindTC reduce the loads in all of the bearings in the system? The WindTC™ will reduce all torque loads in the drivetrain during a reversal event, including the main shaft, blades and even the tower. Main shaft bearings can also see thrust loads, depending on their design layout, which cannot be addressed with a torque control. However, the WindTC™ will reduce the effects of any reversals in these bearings. It will significantly reduce the loads in all the bearings in the gearbox. 6. 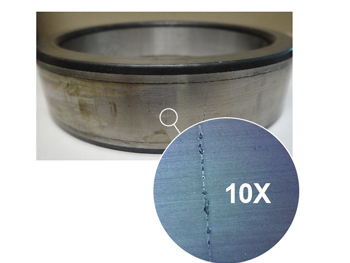 What about Axial Cracking in Gearbox Bearings? The latest research points to load reversals and impact loads as being the primary root cause of axial cracking. The WindTC™ is designed to specifically reduce these loading events. 7. Why is the WindTM mounted on the main shaft vs. high speed shaft? Does this positioning of the monitor accurately represent torque at both input and output locations? Yes, the WindTM, torque monitoring device is mounted on the low speed shaft. This location allows for economical mounting, without affecting the dynamics of the high speed shaft. Placement on the high speed end would require a balanced application. The torque data is easily manipulated to give accurate results at either location, so it is mounted on the main shaft. 8. The WindTM stores the worst 100 events, what is an event? An event is actually any change in the torque in the system. During initial startup, every 45 seconds is an event. As the device continues to monitor and check the results against its saved events, these early data sets are discarded and only the significant events remain. Since our data is downloaded once a day (can be altered to any time frame), the data sets usually include normal running along with torsional reversals, even in harsh wind conditions. 9. What size turbines have you monitored? The WindTM™ device has been monitoring a wide variety of turbines in the field. From 600 KW to 2.0 MW (rotor sizes have spanned from 47 meters to 87 meters) turbines, we have found damaging reverse torsional events on ALL turbine designs. 10. Does the WindTC™ have any effect on the speed or timing of my existing braking? No, the WindTC™ does not affect turbine brakes, since turbine braking is accomplished primarily through blade braking and secondarily through disc braking. The WindTC™ is downstream of these brakes, it controls excessive torque reversals when these braking events occur. 11. How quick is my payback? The WindTC can pay for itself in as little as 11 months, based on Net Present Value methodology. This is based solely on the gained gearbox life, not including other factors such as lost production and other cost adders. A WindTC cannot make up for inadequate maintenance but it can gain you a major financial edge on the damage caused by your operating conditions. Current research shows that one single TTR can cause the damage that will eventually result in a full bearing failure. That event could happen the first day that you start up your turbine. The only way to stop that from occurring is to prevent the load from occurring in the first place, extending the life of you gearbox.